← Sale Alert! Superbrothers on Sale, Rise of Atlantis HD (Premium) and Hotel Dash are Free! You can avoid danger by forming a protective circle but to be able to liberate your friends, you can form a chain together and encircle your enemies and sort of shoot them down. Eventually, you get to acquire additional special powers and companions to fight bosses. 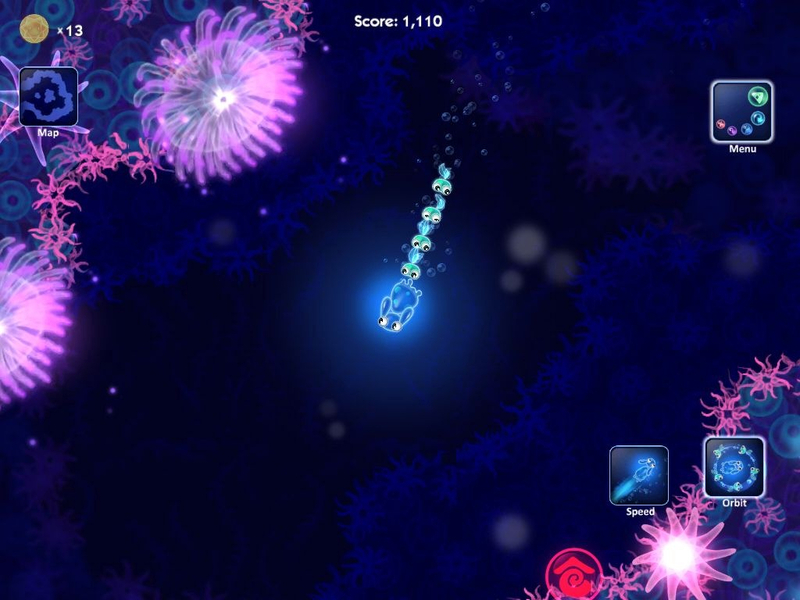 What I like about Glowfish is that you can play at your own pace, and you can do what you want for as long as you eventually accomplish your goals. There are plenty of control options, too, so you can choose what feels natural and comfortable to you. While I am not a fan of neon-style art in general, I do like the look and feel of this game. There are 50 gorgeous levels with some nice surprises along the way. There’s also a nice zoom function if you want to see the aquatic world in more detail. The game may wear down your index finger and feel a bit repetitive for a while. A more interactive environment would have helped break the monotony, but as it is, there’s plenty enough for you to do. Different control options for the special power ups such as gesture based or even tilt controls would be nice. I recommend this game if you’re looking for something to keep the little one busy. It might not as be appealing to an older audience, but for being a bit different from your usual fare of casual games, Glowfish HD merits a second look.